One day, when I was in my final year, I was swimming laps in the university pool. I paused to catch my breath at the end of a set. “Did you hear about _________?” The lifeguard had strolled over for a chat. We’d gone to high school together. “No.” I replied, willing him to go away. I only had an hour until my next class. I lost my breath again and had to be helped out of the water. _________ was more than an acquaintance, but not quite a friend. Also from the same high school, we crossed paths periodically on campus and had brown bagged it with each other a few times over the course of our degrees. He was a bit of a loner and I had those tendencies too, we never actively sought each other out. I steeled myself enough to attend his funeral, but I went alone and sat in the back. I didn’t pay my respects, nor did I sign a guest book. I needed to be there for _________ but I wanted to be invisible. When I got home from the service, there was company over for dinner. I tried to sit with everyone for a while but had to excuse myself. My mother followed to make sure I was okay, but I wasn’t… I was falling apart. I’ve written about this many times — rants, letters, poems — but these have all been to myself and were quickly destroyed. When I started this blog, I knew I would inevitably write about it here and then it would be public. So, why today, you might ask. Well, peeps… today is World Suicide Prevention Day and the international theme is Stigma: A major Barrier to Suicide Prevention. Stigma is the reason I couldn’t breathe in the pool. Stigma is the reason I hid at the funeral. Stigma is the reason I fell apart. Stigma is the reason I never talked about my own suicide attempt from the year before. I know it’s not logical, but I felt responsible for _________’s death. Maybe if I had been public about my past, we would have talked. If I hadn’t been ashamed, maybe I could have helped. Probably not, but I’ll never know. But what if I talk openly about it now? Can I help remove some of the stigma that surrounds suicide and mental illness? Maybe this time I can help save a life. I know this all raises more questions than it answers, but the rest of the story is for another day. Today, I just wanted to start talking. It’s okay to feel desperate, and it’s okay to talk about it. Please, tell a friend or call a hotline. This entry was posted in General, Mental Health and tagged Death, depression, Mental Health, personal, stigma, suicide, Suicide prevention, World Suicide Prevention Day. Bookmark the permalink. Also thank you for making this post I really do believe suicide should not be stigmatised. Severe depression can make ending your life seem to be the clear and only choice. It really is the “biggest liar”. Thank you for sharing here and I hope you stay out of the darkness. Take care and stay healthy! Four of five of us siblings have been diagnosed and treated for depression. Two have struggled with suicidal thoughts, and two of us have attempted and failed. A parent has undiagnosed depression, and when her only brother was killed in a car accident before I was born, her father ended up in the psychiatric hospital for three months, because he could not handle the loss of his child. My brother, older sister, and I also shared a friend in high school who attempted suicide. With the prevalence of depression in our lives, you would think that we would talk about it, but it is avoided like the plague. This is not something I have talked about on my own blog until just recently, and I didn’t go into length about it. Unlike my depression, which I do not feel stigmatized by, my failed suicide attempts I do. Unless they have been through it themselves, people are not so forgiving when they learn this about me, because they think I am crazy and just wanting attention. They don’t understand that at those moments, I was so blinded by pain, all I could focus on was wanting it to stop. Thank you for opening up about something so personal and sharing with so many. It’s urgent that more people be able to pick up on the signs before it is too late. And they are there, no matter how hard we try to hide them, they are there. I am deeply embarrassed when I think about my suicide attempt. I feel such personal weakness when I reflect on it, even though I logically know I shouldn’t. My family and I never talked about my attempt until I started talking about it on my blog. I was scared to bring back their pain and I think they thought I didn’t want to remember. Wow this was a powerful piece. I have to say reading it made me cry, and so did the link you provided – the “if you were thinking about suicide one”. I’m glad you wrote about this, it has helped me a great deal. Sorry I made you cry but I’m glad you read it and followed the link. Speaking about this is something I have wanted and needed to do for a long time. It is something that seems better not talked about but really needs to be discussed as openly as possible. Drop me an e-mail if there is anything you need to talk about, okay? Thanks for the great comment. 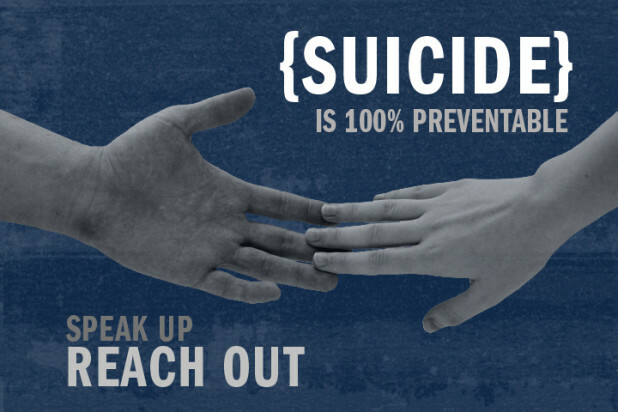 Suicide, can it be preventable? Maybe, maybe not. Living with this so called mental illness is the same as living with HIV or AIDS. AIDS had gone a long way. I say, SAY it is what I keep on saying. Depression, yes. Manic, yes. Schizo, yes. Mental Illness, NO. It’s a disease of a brain, it’s in our genes. Let us keep on saying that it’s not mental. Depression is as common as a cold. I go through it, too. So was suicide. And I am alive. Thank goodness. As I said in another comment, I do believe that suicide is 100% preventable. And by this, I mean that there are no accidental suicides. I’m not saying all suicides CAN be stopped and I’m not saying all suicides SHOULD be stopped. It is a choice that people make… and I feel people should have the right to make that choice if it is what they really want (I’ve worked with a lot of terminally ill people). And saying depression is a mental illness does not mean that it is “all in the head” or make it less of a disease than diabetes, for example. Depression is definitely a physical ailment, but it’s major effects are expressed in mental function – a decrease in mental health… that’s why it is a mental illness. It’s just like calling clogged arteries “heart disease”, even though it is spread throughout the body, the effects and danger are to the heart. Thanks for your comment, and I’m SO glad that you are alive! Thank you for your response, EE. Me too! Sending you lots of long distance hugs right now! twice. and i didn’t know how to delete one of my replies. what a loser. I thought I’d check out your blog (as it is so often entertaining) before I went to bed and read this latest post. I have such respect for you sharing something that could very easily have remained a secret from most. I also have such respect for your willingness to disclose such a “dark” part of your life when so often people are inclined to tell only the brightest details of their experiences (like on fb, for example). As a social worker I have dealt with young people killing themselves because of command hallucinations, impulsivity combined with drug use, and just wanting to end their never-ending suffering. I have known you for most of my life and I am so glad you are still here to write your blogs, mother your kids, and keep those around you laughing with your ridiculous sarcasm and wit… love ya. My comment ended up being too long, so I wrote to you on my blog. Kudos to you for your bravery and openess in sharing your experiences with others. You keep it real and I have a lot of respect for that. Thank you for your support, my friend. Hugs! Good for you for bringing this topic up. I also went through a major depressive phase when I was a late teen, and often felt suicidal. I’ve gone on to live a happy and healthy life, but I will never forget how alone I felt during those dark days, and how little my family did to help me. My parents were very religious and modern psychiatry was viewed with skepticism. There is a stigma attached to all forms of mental illness. Which only exacerbates the problem. What I have found is that mental illness touches most people in some way, they just don’t always talk openly about it because of the stigma. If you ask questions, people will often reveal their stories. I’m also amazed at the number of lives that have been touched by mental illness. Just by writing this post, I have learned more about some friends than I ever knew before. Speaking out is a powerful weapon against stigma. Over the years, I have opened up more and more to my close friends about my depression. I’ve accepted that it is an important part of who I am. I have an illness but I also have a wonderful and happy life. I’m just a normal person. Thank you so much for taking the time to comment and share your story. I am very lucky to have you all! Thanks for your support. I’m proud of you, honey. Michaela, you are SO right about stigma being the crux of so many social issues. Thank you for taking the time to write such a thoughtful comment. As I said in another comment, I know not all suicides can (or should) be prevented. The years have given me the perspective to know that I’m not to blame for R’s death. And they’ve also given me the distance to begin to forgive myself for my own attempt. Thank you for talking about this – it’s incredibly brave of you. I know from my own experience that keeping discussion of suicide behind closed doors is the worst thing to do. We’ve already “talked” today, but I just want to tell you how much your support means to me. Thanks for being such a good friend for so many years. We are kin. 2 days ago I shared with a friend that I had been the last person someone called before they killed themselves years ago. And although I have tried and to some extent managed to come to terms with my not being able to prevent this loss, I realized that after all these years it still hurt. Thanks for sharing your thoughts and experience and bravo for your courage. More importantly, thank you for reading and taking the time to comment. It amazes me how we bury this kind of hurt so deeply, but it still affects us everyday… it changes who we are. Thanks for the support! I had a student once whom I did stop – many times, through many attempts – as did others who loved her. But we could not prevent it that last time, even though she was found (perhaps) crawling toward the phone to make another call for help. And as I sat through her memorial, I couldn’t help but look around at the hundreds of people who had been unable to stop her, in spite of their love or regard for her. I am glad for you that you survived your attempt. And I admire you fiercely for your courage in starting to speak your story. You are right – we need to stop the stigma of mental illness or anguish and accept that it exists and needs a voice in order for healing to begin. I hear what you are saying about not having the power to stop someone if they are determined to die, and I’m so sorry you lived through the pain of trying unsuccessfully, but I do believe that suicide is 100% preventable. And by this, I mean that there are no accidental suicides. Now, in saying this, I’m not saying all suicides can be stopped. I’m not even saying all suicides should be stopped. It is a choice that people make… and I feel people should have the right to make that choice if it is what they really want (I’ve worked with a lot of terminally ill people). The suicides that I think we need to stop are the ones being made out of desperation. The ones that are being made because people are seeking relief from emotional and mental pain. Relief doesn’t come with death… You are just dead. Thank you for taking the time to comment, and for helping get the discussions rolling. It is lovely to read your words of support. I agree with you completely – I also believe that desperate suicides are (and should be) preventable. I think of it as the difference between going toward something and running away from something. A carefully considered suicide, at end of a terminal illness, perhaps, and done in the spirit of living (and dying) with dignity, is a very different thing from one which feels like the only alternative to someone trying to escape their pain. If we run away from something, we may not take the best route; if we run toward something, we have time to consider that. I think your idea of speaking out to stop us feeling shame and to eliminate stigma is such an important one – voices need to be heard on this, and people need to listen. I am honoured to be part of the conversation. Thank you for starting it. I think we all go through some kind of guilt when someone we know kills themselves, i should have noticed, i could have done more, so many what ifs and buts, but at the end of the day you weren’t a daily presence in his life and couldn’t possibly have had the insight that it was going to happen. Maybe if you’d gotten closer you WOULD have spoken to him about your attempt, there’s so many maybes though, so try not to blame yourself. It’s not something to shout from the rooftops but it’s definitely something we should feel free to talk about in context. I was recently in hospital on suicide watch and treated as an outpatient afterwards, i haven’t had an actual attempt in 13 years but the urge gets so strong sometimes i scare myself and i think it’s important to share these feelings when appropriate. Mostly, it’s through my blog that i talk about such things, but in person i will talk to people about these things freely when i know they have mental health struggles themselves. I’m sorry you lost a friend, all the best in working through your own pain and finding the strength to tell your own stories.